For several years, we’ve been singing the praises of the Orange Economic Development Corporation’s semi-annual local publication “Orange Life” magazine. This is not a rival news organization, rather a sister-type business, as we both serve only the Orange community. Orange Life is beautiful, with quality printing and a high gloss cover featuring a beautiful picture from someone local. The winter issue shows a stunning painting of the Wepawaug by artist Violet Nastri. Inside, are detailed stories crafted by skilled writers who have time to put in a lot of research to offer the best information about the subject. 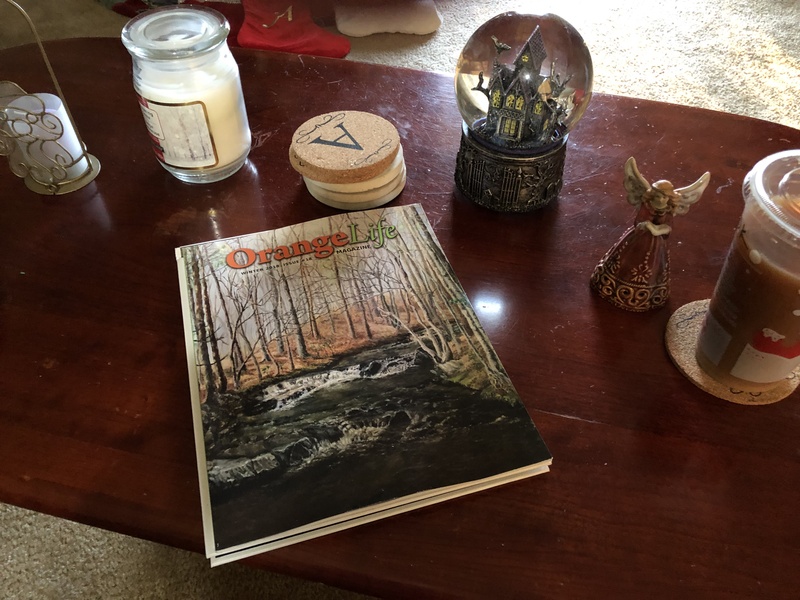 Orange Life is the only news publication that you will want to keep on your coffee table for months to come. Sort of like a Reader’s Digest Magazine, you’ll always pick it up again for reference or to take another look at a photograph, or check out an ad (see our ad on page 58). OEDC Executive Director Annemarie Sliby does a phenomenal job. Look for your Orange Life Magazine in the mail, you’ll be sure to love it! The town of Orange will suffer a great loss on April 29: Paul Grimmer, the Executive Director of the Economic Development Corporation is leaving to take a job in Shelton. Former First Selectman Mitch Goldblatt, Selectman Peach Reid and Frank Pifko from the United Illuminating Company interviewed Grimmer for the job of building several aspects of economic development in Orange. Grimmer became the town’s first full time executive director in September 2001. The Orange Economic Development Corporation (OEDC) is a not for profit organization to support the town’s economic development efforts. Many other communities have their own economic development office and need to pay staff, maintain the office and provide healthcare. Orange is fortunate to have the EDC acting as the support to the town. 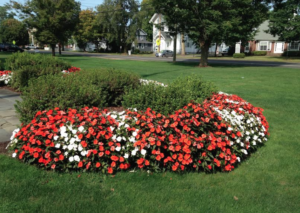 The town provides the OEDC with $60,000 of it’s (approximate $200,000) yearly operating budget, then it’s up to the OEDC to get the additional resources by fundraising. A significant portion of income is obtained through ad sales for the Orange Life Magazine and the business expo generates a good income, according to Grimmer. The magazine and expo also promote town businesses and highlight the good work of people of Orange. Grimmer said through his position, he’s been able to work with amazing companies like UI and participate in bringing some great companies to town. One of his best memories of his tenure is seeing the completion of the Edison Road extension, which was on the books in the Orange Industrial Plan since 1963. Grimmer spent a good part of an 8 year period piling up both state and federal grants and slowly but surely the extended road created business opportunities. The Farmer’s Market is not an OEDC activity, but in this case, Zeoli expressed interest in having one in Orange and Grimmer said, “I’ll do it.” He confessed that he always stepped up because it was important to participate in community and business activities. The key to his longevity at the OEDC was that the Board of Directors gave him the rope to go out and participate in community organizations and activities like the Chamber of Commerce and the Rotary Club of Orange. “It made my job more enjoyable because of the personal contacts I’ve made over the years,” he said. Zeoli said Grimmer has town information embedded in his brain. “When you ask him something, he knows the answer in minutes.” — Orange Live can attest to this. When we asked how long Edison Road was in the works, he seamlessly turned to a crowded bookshelf and took out a small folder from 60 years ago. As far as leaving Orange, Grimmer said he feels good that he did his best here and noted that he is leaving a lot of friends behind. Grimmer’s last day with the OEDC is April 29. Until then it’s business as usual with him working feverishly on getting the May issue of Orange Life ready and preparing for the Orange Expo. On May 2 he is starting his new career as the Shelton Economic Development Commission President and COO of the organization. The job description is different from what he did in Orange — there will not be a “Shelton Life” Magazine. His focus will be on grants administration, revitalization and Brownfield Remediation along the river front. The town of Orange has some huge shoes to fill in finding a replacement for Grimmer, but the search will go on and a notice will be posted in the near future. Orange Live wishes Paul the best of luck and a lot of happiness in his new venture. Orange’s loss is Shelton’s gain. Let’s hope his replacement can continue putting out a quality Orange Life Magazine — the BEST hard copy news resource in the town of Orange. The 12th Annual Orange Business Expo is Scheduled for Wednesday, June 12, at the High Plains Community Center, 525 Orange Center Road, from 11 a.m. to 4 p.m. The Expo is free to visit and Open to the Public. GOLD: Cohen and Wolf; Yale University; Northeast Electronics Corporation and Orange Economic Development Commission. Additional Corporate sponsors are still sought. Registration may be completed online or by downloading the 2013 Application Form. Application forms may be mailed to the OEDC at 605A Orange Center Road, Orange, CT 06477. Our banner in a nice space drew visitors at last year’s Expo. NOTE: Orange Live debuted at the 2012 Expo nearly one month after launching. It was a great way to get our name out there and everything has been wonderful since. I recommend the expo to any business no matter how big or small as a great way to meet potential customers and fellow business owners. Originally Published on: Mar 18, 2013 @ 2:14 p.m. The project, which will connect Edison Road to Marsh Hill Road, was officially advertised on Saturday, Sept. 15. A bid walk through will take place on Monday, Sept. 24, and the bids are due Wednesday, Oct. 3. Bids may be picked up at the Town of Orange, Public Works Department at 617 Orange Center Road, Orange CT. The Orange Hills Course is lush and green. The Orange Economic Development Corporation (OEDC) announced its 6th Annual Golf Tournament, sponsored by PEZ Candy, Inc., is scheduled for Friday, Sept. 21, at Orange Hills Country Club, 389 Racebrook Road. A rain date of Oct. 5, is scheduled. Numerous on-course Contests—Hole in One, Closest to the Pin, Par 3 Challenge, Closest to the Line, Longest Drive (Men & Women). The OEDC is accepting registrations and anyone interested in participating in the event should contact either Paul Grimmer or Annemarie Sliby at (203) 891-1045. You may also sign up online at the OEDC website www.OrangeEDC.com/golf.htm. Tournament Sponsor: PEZ Candy, Inc.
Cart Sponsor: Cohen and Wolf, P.C. The OEDC is accepting additional sponsors as well as Tee Sign Sponsors. Call the OEDC at (203) 891-1045 if interested.